I am an accomplished Internet Network Marketer and have been marketing online for more than 25 years. I have been published in Networking Times, Cutting Edge Media, Home Business Connection, Youngevity's Magazine, Money Makers Monthly, Networker's Advantage and is a contributing author in "Build it Big," a book published by Dearborn Publishing for Direct Selling Women's Alliance. Published in the August 2007 issue of Entrepreneur Magazine. as an eBay Entrepreneur. Platinum Power seller on eBay for 6 years and an eBay Education Specialist. I offer cutting edge technology and marketing for every listing, it doesn't matter if it's a mobile or a mansion I appreciate every listing and go above and beyond for my sellers. "Not advertising is like winking in the dark, nobody knows". Let me take you on a no obligation buyers tour of our area. It's important you know all you can about the area you're buying in. Let's find the area you love and then a move in ready home, a fixer or the perfect spot to build on. In a nice neighborhood. Level with a gentle slope. All utilities are available at the lot line. A nice gentle creek flows through the back of this property and it is just minutes from Harris Beach and within walking distance to town. Sold a Single Family home in 2019 for approximately $500K in Gold Beach, OR. 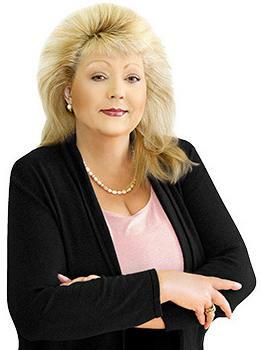 Jude Hodge is an excellent Real Estate Agent, her marketing skills are beyond compare. Jude goes out of her way to do everything she can to sell your home, she uses sophisticated techniques that are often lacking in much larger cities. Jude sold one home for us in a very short time and we are closing soon on a second home that Jude also sold, I cannot say enough wonderful things about Jude. If you want to sell a home or buy a home Jude knows what is selling, what is available to buy and EXACTLY how to market your home, there is no one better, choose Jude! Sold a Single Family home in 2019 for approximately $250K in Brookings, OR. gave us the peace of mind that we needed. I cannot imagine using anyone but Jude to sell your home! She is a gem ! Sold a Vacant Land home in 2019 for approximately $225K in Gold Beach, OR. We live in Tennessee and Jude helped us sell our property in Oregon. She made all of the local arrangements and the sale was completed to our satisfaction. We highly recommend Jude Hodge. Bought a Single Family home in 2017 in Brookings, OR. Jude helped my husband and I close a deal on a dream business and land we had been hoping to buy. It was a long process and Jude was exceptional at making it happen. Lots of counter offers, lots of delays, lots of inspections and lots of waiting! But when we got the call from her that it was done we were beyond excited. Sheâs a great realtor and has made our dream come true. She knows her job well! We love her. Bought and sold a home in 2018 in Harbor, Brookings, OR 97415. Jude is a dedicated professional and went above and beyond to insure every detail was followed up. I could not be more pleased with her. Jude and her husband Dave are so nice and caring. What a blessing. Dave did an awesome job in making my home shine in pictures and in the virtual 3D tour. Amazing work! Thank you Jude and Dave! Sold a Condo home in 2018 for approximately $350K in Brookings, OR. Jude was the best thing that could have happened to me. It was my lucky day when I chose her as my agent. Jude does far more marketing than any other local agent. She understood my needs and my situation and treated me with respect throughout the entire process. I connected with her immediately. She and her husband Dave are an amazing team. They took great photos, videos and drone images immediately after I listed. She has been fantastic through this whole process. She is honest, direct, and kept me informed at every step. She responded right away to all my texts, emails and calls. I canât say enough about how I appreciate all her efforts on my behalf, and about her positive attitude in every interaction we had. She is really the best! Bought a Single Family home in 2018 for approximately $650K in Brookings, OR. Jude has gone way above and beyond to make our home buying experience fantastic. When my husband and I started our search in Brookings we stumbled across Jude. We are so grateful! My husband and I don't know the local area. Jude has been quick to respond to all of our questions and concerns. She has always been understanding of our budget and patient with our demands. We found the house and closed escrow last Friday. We are not able to move in immediately. We are here for a week to visit. Jude provided a couch, table and chairs, bed and blankets, dishes and food in the fridge so we could enjoy our stay. Unheard of! She loves what she does, cares about her clients and it shows! If you want someone who cares about you and is top of her industry, choose Jude as your realtor and you won't regret it. Sold a Mobile / Manufactured home in 2018 for approximately $175K in Brookings, OR. I hired Jude after a bad experience with another realtor in the area. Jude was professional, knowledgable, and very communicative throughout the whole process. If your looking for the best, dont bother looking anywhere else. Sold a Mobile / Manufactured home in 2018 for approximately $275K in Brookings, OR. Jude was above and beyond what we expected from any realtor. She has such strong marketing skills and her negotiation skills were excellent. When we needed to do home repairs she helped us find contractors and laborers so we could complete repairs in a timely manner so as not to delay our sales. She was always available by phone or text for any assistance or questions we had. She's the "Best"! Bought a Mobile / Manufactured home in 2016 for approximately $250K in Brookings, OR. Jude worked with us for 2 year . We were shown around our Town and shown some great properties ! She is such a amazing realtor.! We recommend her highly. She sold us our dream home, exactly what we wanted! Grateful to her and her understanding of what her customers are searching for!